Applications are now open for the first rounds of the 2018-19 Grants SA program. Community organisations can apply for grants of up to $50,000 through the program, which aims to improve community participation, wellbeing and quality of life for South Australians, particularly those experiencing disadvantage. Community organisations only have to apply once to be considered for funding across all available grants programs including volunteer and multicultural grants. Read more about the opening and closing dates of all Grants SA grants rounds and funding guidelines. 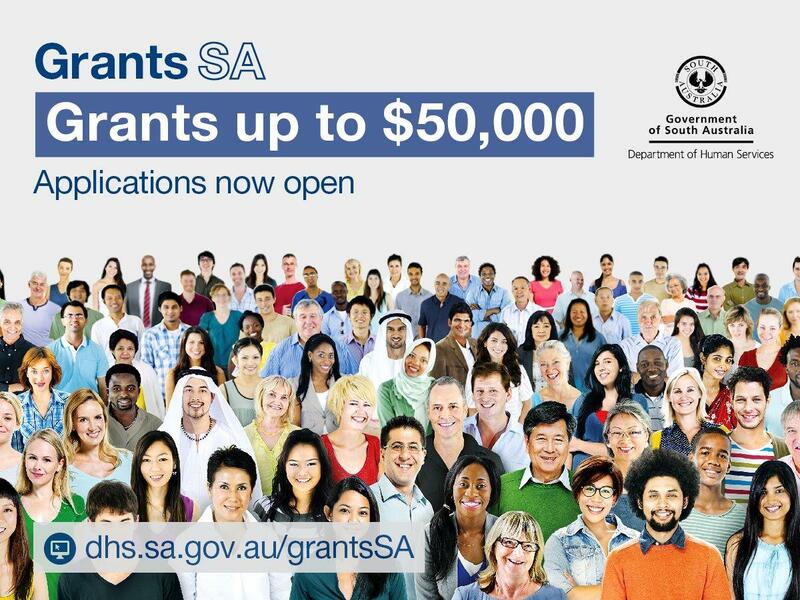 For further information, call the grants team on 1300 650 985 or email grantsSA@sa.gov.au.